This book is the first major in-depth study of the impact of contemporary management practices on a rapidly expanding set of white-collar occupations, namely technical workers. It investigates whether HRM schemes such as employee appraisals and performance related pay have transformed technical work to such an extent that it can no longer be described as a 'service contract'. The book contains detailed examination of the nature of managerial control over employees who, by virtue of their committment, present their employers with problems that are often ignored by prescriptive models of HRM. The empirical evidence features case studies of matched pairs of hi-tech firms in the Irish Republic. 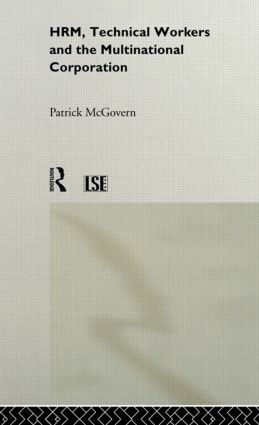 The author examines recent debates about the nature of employment and the role of the multinational corporations within the so-called 'Celtic Tiger' Irish economy.